FARNBOROUGH, England – The British government has awarded feasibility-study contracts to five industrial teams that want to operate orbital or suborbital launch vehicles from British territory on a commercial basis. Three of the five proposals are centered on U.S.-based technology. Any operations outside the United States would need to clear the multilateral Missile Technology Control Regime, to which the United Kingdom is a signatory; and the U.S. International Traffic in Arms Regulations (ITAR), whose restrictions on the export of rocket technology have not been loosened in recent years, unlike ITAR’s application to satellites. The British government’s interest in a domestic launch vehicle has been a source of confusion in Britain and internationally and required a recent U.K. Parliament committee to ask the government to clarify whether it wanted to help finance such a project. The answer was that the government’s involvement is limited to clearing regulatory and legal obstacles that might hamper development of commercial launchers. There is no intention of subsidizing development. Bob Waters, head of industrial strategy at the U.K. Space Agency, said the feasibility studies should not be interpreted as a change in that policy. The studies are being overseen by the Center for Earth Observation Instrumentation and Space Technology (CEOIST), on behalf of the U.K. Space Agency. Because there is no expressed or implied promise of co-financing, each industrial group is investing at its own risk and the government has set no limit on the number of proposals. One of the winning bidders, Orbital Access, based at Scotland’s Prestwick Airport, on July 12 announced a separate initiative unrelated to the agency studies, signing a memorandum of understanding with XCOR Aerospace of the United States, which is developing a horizontal-takeoff vehicle called Lynx; and with the Glasgow Prestwick Spaceport. XCOR is not among the feasibility study winners. The Mojave, California-based company laid off a sizable fraction of its workforce at the end of May, saying it was suspending work on Lynx to focus on development of a rocket engine under a contract with United Launch Alliance. Ben Droste, a founding partner of XCOR Space Expeditions of Blaricum, The Netherlands, said during a press briefing that the company’s recent restructuring was designed to focus attention on the Lynx vehicle’s engine. He said it was too soon to provide a date for the vehicle’s first flight. 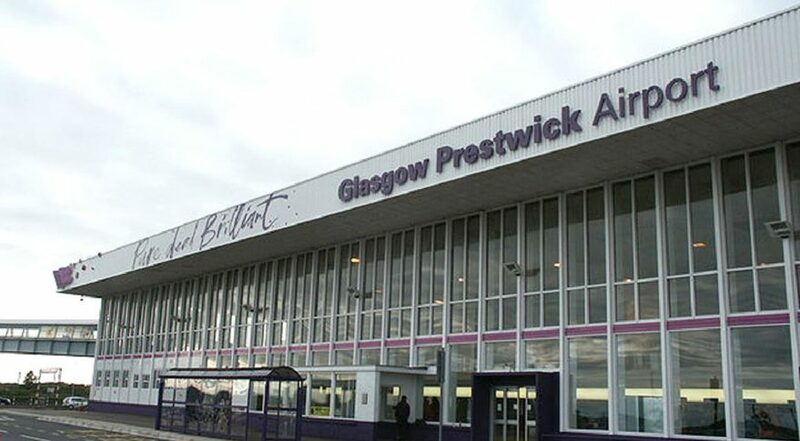 Mike Stewart, business development manager of Glasgow Prestwick Spaceport, said Prestwick Airport would require infrastructure investment of as little as 1 million British pounds to become a spaceport. The multilateral Missile Technology Control Regime (MTCR) signatory nations, most of which do not operate their own rockets, agree to limit the spread of missile technology to prevent other nations from developing it. One British industry official said that while the U.K. developed its own rocket, called Black Arrow, which orbited a satellite from an Australian site in 1971, the U.K. is now considered, for MTCR purposes, as a non-missile-owning state. Transferring U.S. or French technology – France and the United States are MTCR signatories – would face scrutiny but likely would be accepted as MTCR-compatible, this official said. U.S. ITAR rules are more problematic. “We are alive to the issues and we understand them,” Waters said. “We are pulling together a team that will be from across the government to look at these aspects and figure out how best we deal with international partners. It’s not just ITAR. The French government would need to approve any Airbus Safran Launchers transfer of rocket technology to British soil. In the past, the French government has refused to permit the export of rocket guidance, navigation and control technology to Italy, for the Italian-led Vega small-satellite launcher. Italy subsequently developed the avionics on its own and Vega is now in operation from Europe’s Guiana Space Center on South America’s northeast coast. The British feasibility studies are expected to result in final reports submitted by November on business models, future small-satellite markets and infrastructure requirements for a spaceport, Waters said.